Charming Yaniklar Fethiye Bungalow for sale 2 bedroom Countryside views . 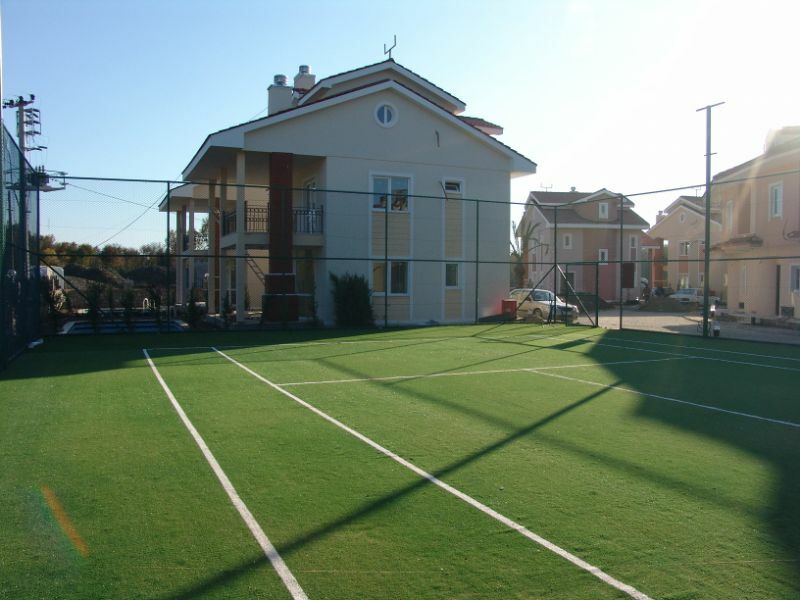 Turkey Property for sale Fethiye . This delightful, quiet, sunny Bungalow offers a host of charms with spacious comfortable living accommodation, private swimming pool, gardens and car parking drive. Located on the outskirts of Fethiye in the rural village of Yaniklar, set withing a fine secure development with many on-site facilites .20 minute walking distance to Yaniklar beach , only a 5 minute drive. A 40 minute drive from Dalaman International Airport . Ideal for investment purchase or as main residence home depending on the owners requirements this Property can offer it all ! Entrance hallway with built in cupboard, french doors open onto the sunny patio. To the rightside is open plan modern living accomodation with fully fitted kitchen,ample cupboard space, marble worksurface with built-in appliances .The kitchen has french doors opening onto the outside semi covered terrace and down to the pool side area . The dining area and spacious lounge with feature fireplace which is tastefully decorated and has set of patio doors plus near full lenght windows letting plenty of light into the Property . Down the hallway leads to main family bathroom with showercabin . Twin bedroom which is good size and has plenty of wardrobe space.On the right handside of the hall way is a seperate dressing area for the ample size master en-suite bedroom.The dressing area has wardrobes and dressing table vanity style unit and chair which could also be used as home office area.The Master bedroom has French doors that steps out onto the terrace which also houses a storage cupboard .